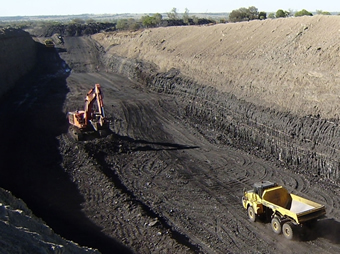 This case study involved an objection and subsequent appeal against the Wandoan Coal Mine, an open-cut coal mine proposed to operate for 35 years west of the township of Wandoan, approximately 350 km northwest of Brisbane and 60 km south of Taroom in the Surat Basin, Queensland. 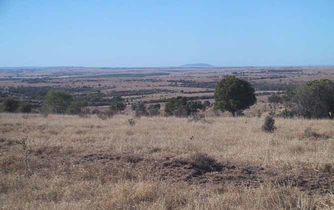 The mine is part of the Wandoan Coal Project proposed by Xstrata Coal Queensland Pty Ltd and its joint venturers. The thermal coal deposits for the mine are estimated to be in excess of 1.2 billion tonnes and are located within three mining lease applications covering approximately 32,000 hectares. The Friends of the Earth - Brisbane Co-Op Ltd (FOE), a conservation group, lodged an objection to the mine due to the contribution its emissions will make to climate change and ocean acidification. The objection by FOE and other objections by neighbouring farmers was heard by the Land Court of Queensland in Brisbane, from 22 August - 31 August 2011. 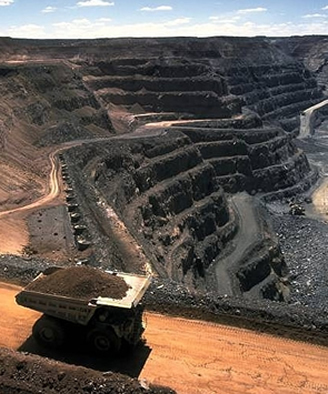 The Court dismissed FOE's objection and recommended that the mining lease and environmental authority be granted. Some changes were recommended to address concerns raised by the landholders. Application for a mining lease and an environmental authority. Location map of the mine. Mine layout plan and 30-year mining schedule. The proposed mine has 14 pits, several 5km x 5km in area, and is approximately 30km east to west and 20km north to south. The pits will go to around 70m in depth. Initial Advice Statement by Xstrata seeking declaration that mine is a significant project. Declaration that the mine was a significant project by the Coordinator-General. Terms of reference for EIS. Environmental Impact Statement (EIS), including calculation of the greenhouse gases to be produced by the mine in Chapter 14 of Volume 1 and an attached technical report available here. Supplementary EIS for the mine. Coordinator-General's report (attaching a draft environmental authority (mining lease)). Directions made by the Land Court setting out the steps leading up to the objections hearing on 22 August - 2 September 2011. Request for Further and Better Particulars by Xstratra. Response to Request for Further and Better Particulars by FOE. Mr Jonathan Stanford report on policy & economics (Exhibit 77). Mr William Simes report on coal supply (Exhibit 75). Dr Chris Taylor report on GHG emissions (Exhibit 81). Cassandra McCarthy affidavit on research by the Xstrata Group into carbon capture and storage (Exhibit 47). Professor Ian Lowe report on climate science [without attachments due to file size - full report available here (28MB)] (Exhibit 102). Dr Malte Meinshausen report on the contribution of the Wandoan Coal Mine to climate change and ocean acidification [without attachments to respect copyright] (Exhibit 103). Professor Ove Heogh-Guldberg report on impacts of climate change and ocean acidification on the Great Barrier Reef [without attachments to respect copyright] (Exhibit 104). Mr Hans Hoegh-Guldberg report on economic impacts of climate change on the Great Barrier Reef (Exhibit 105). Jonathan Stanford supplementary report (Exhibit 78). William Simes supplementary report (Exhibit 76). Notice of Appeal filed by FOE (later discontinued before a decision was reached, therefore, the appeal ended). In November 2012 the future of the mine was in doubt due to market conditions. In March 2013 the mine was reported to be even less likely to proceed due to the risk of the project and market conditions. In September 2013 the mine was reported to have been placed on indefinite hold due to market conditions and the business risks involved in proceeding. (not the Wandoan Coal Mine). A photograph of the proposed mine site. Sample pit near Wandoan showing one of the coal seams proposed to be mined.